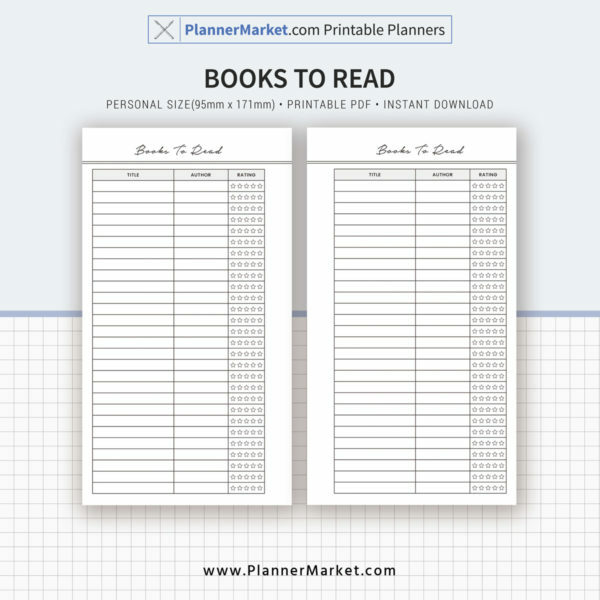 Books To Read, Notes Page, Personal Size, Planner Inserts, Planner Refill, Planner Binder, Instant Download | PlannerMarket.com | Best Selling Printable Templates For Everyone. 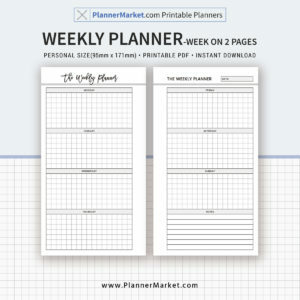 We believe in the power of great templates designs and are very happy to help you get organized and get noticed with our professionally designed planner refills and resume templates. – Carefully designed with a modern aesthetic in mind. 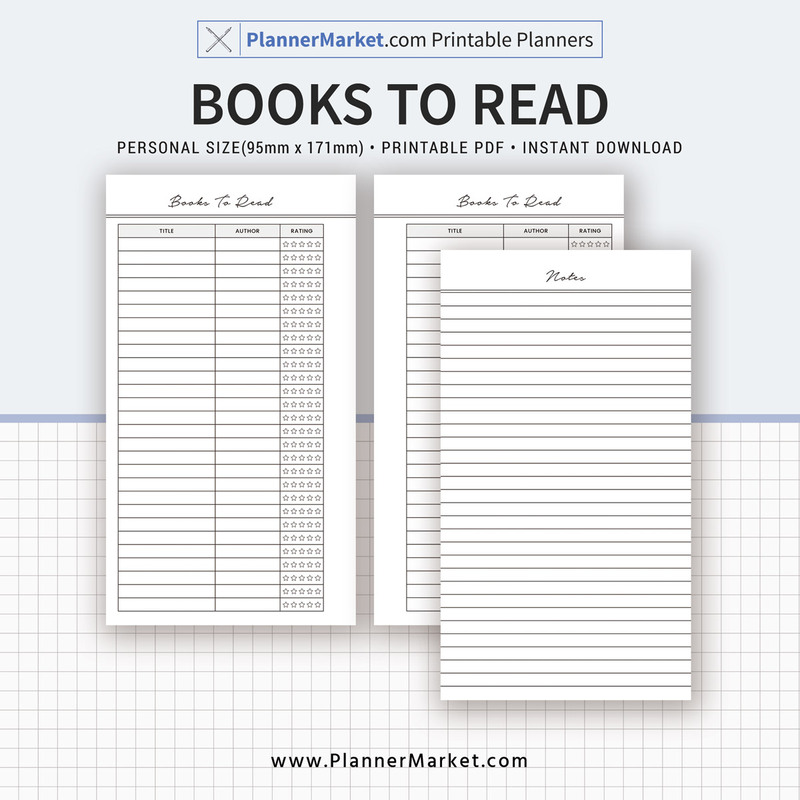 – Perfect for home and office use. 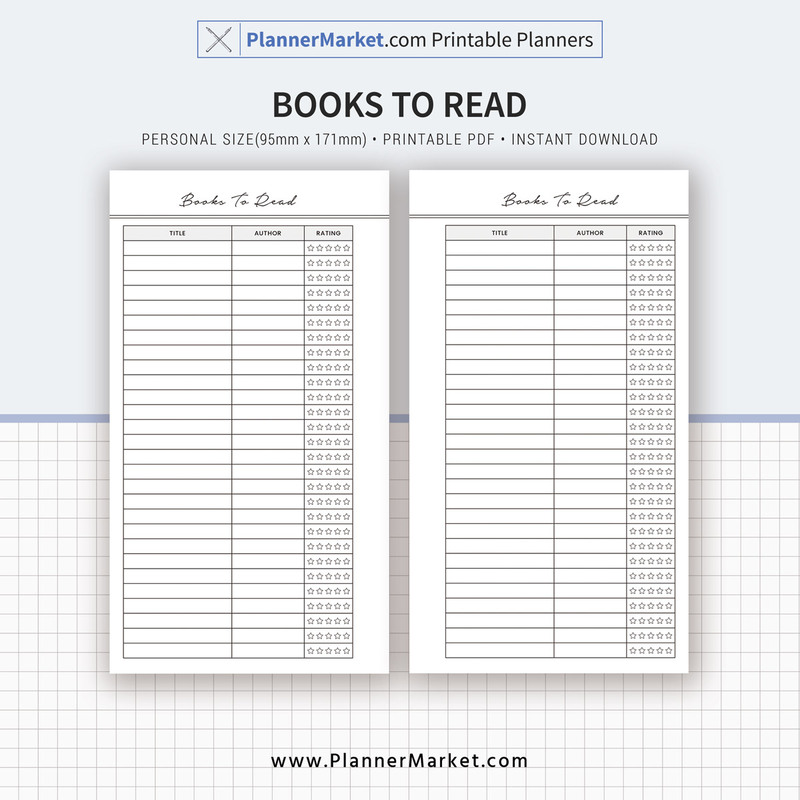 – Print as many pages as you need. – Simply print from your home printer, or send to a local printing shop. 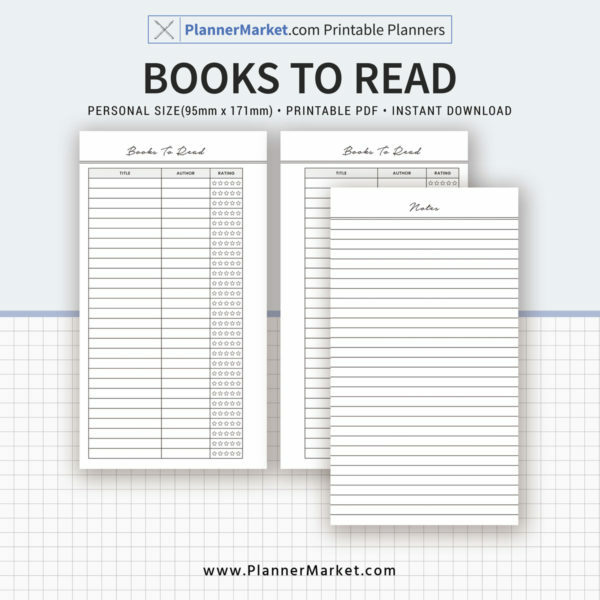 – Books To Read in .PDF format. 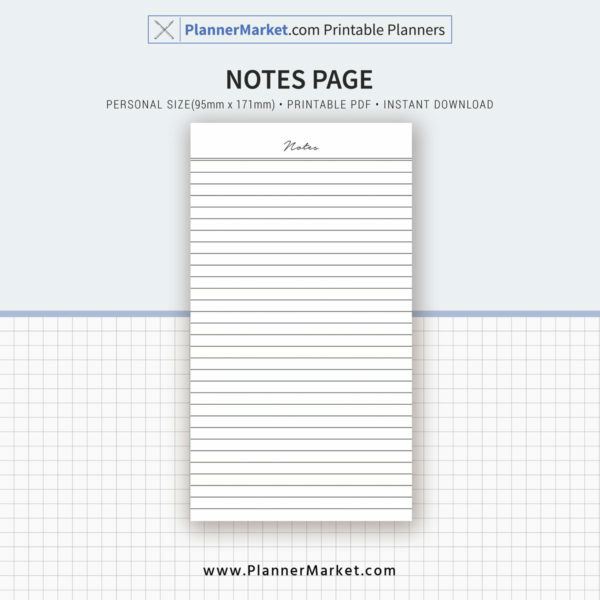 – Notes Page in .PDF format. 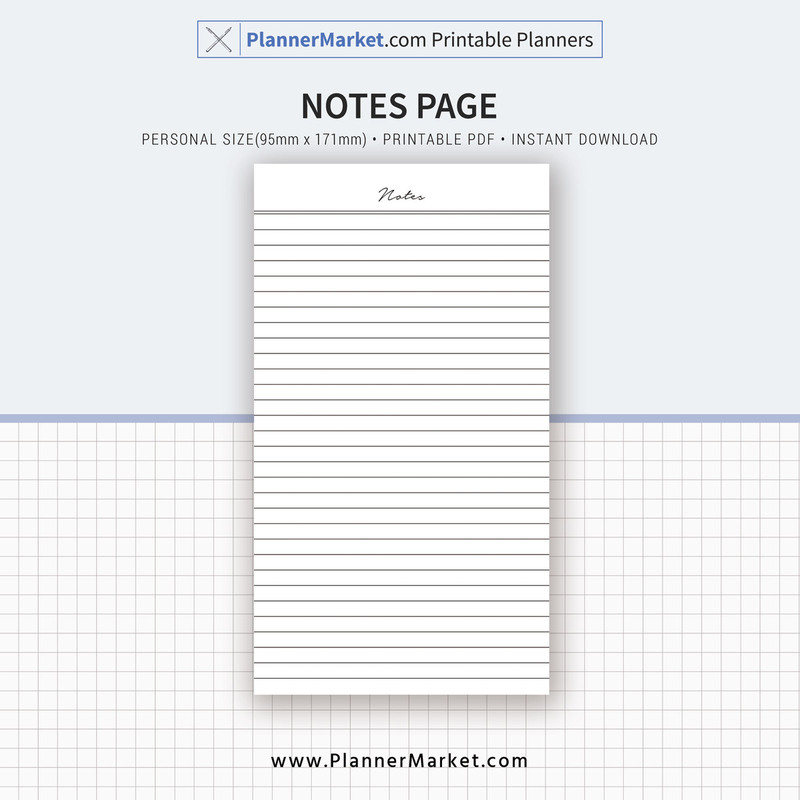 – Personal Size(3.75 x 6.75 in / 95mm x 171mm). – 3 separate printing options. You can print on personal size paper, A4 paper or US Letter size paper(2 personal size pages per sheet with crop marks). – Please note that there are no printed materials / physical products will be shipped. – Download link: go to “MY ACCOUNT” – “My Orders” – download the files you just purchased. – You can use Acrobat Reader to open these files. – Open the file in Acrobat Reader – Select “ACTUAL SIZE” in your printer settings – Print. – Colors may vary slightly depending on the computer monitor and printer you decide to use. 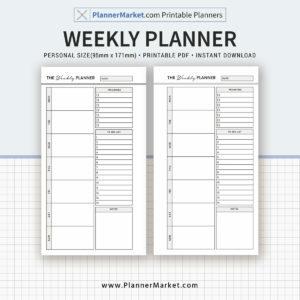 – If you have any questions when using these planner refills or resume templates, please send us convo or email with as many details as possible, we will be very happy to help you and usually respond within 24 hours. 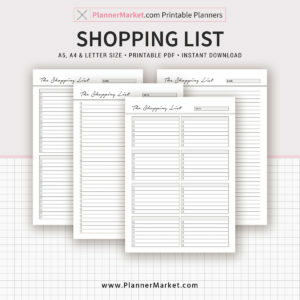 – All designs are copyright and original to www.PlannerMarket.com. 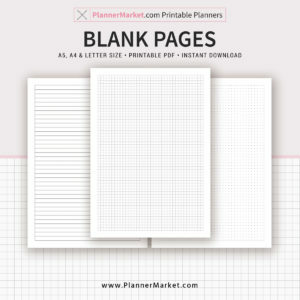 – All the templates are for personal use only and can not be redesigned, shared, resold or redistributed under any circumstances. – Due to the digital nature of these items, all sales are final and non-refundable. – Please read the listings description carefully to make sure you are purchasing the right items.